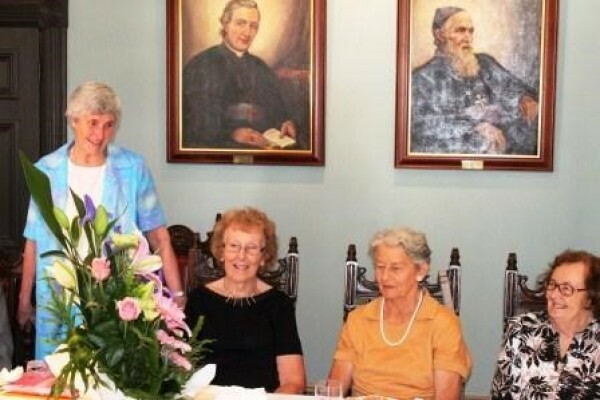 Archbishop Costelloe hosted a morning-tea to thank Sr Frances Stibi PBVM and her volunteer helpers on the occasion of Sr Frances’ retirement from the Archives. His Grace spoke about the extraordinary professionalism of Sr Frances and her obvious passion for the archives since she first took on the job around 20 years ago. 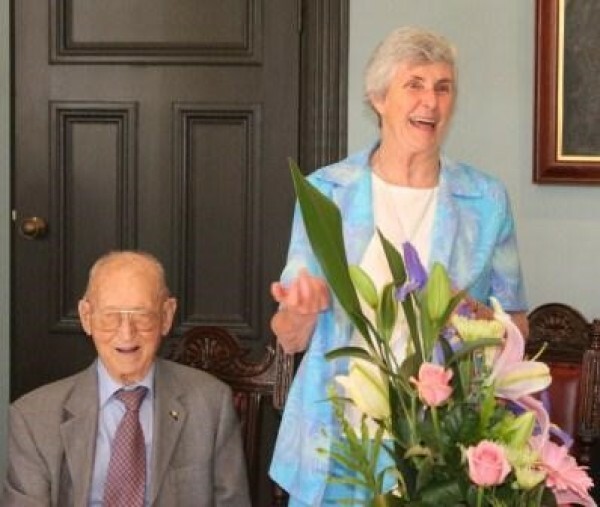 The Archbishop said that while the morning tea was to say ‘thank you’ to Sr Frances it was also an opportunity to thank the volunteers for their support of Sr Frances and dedication to the work of the archives. 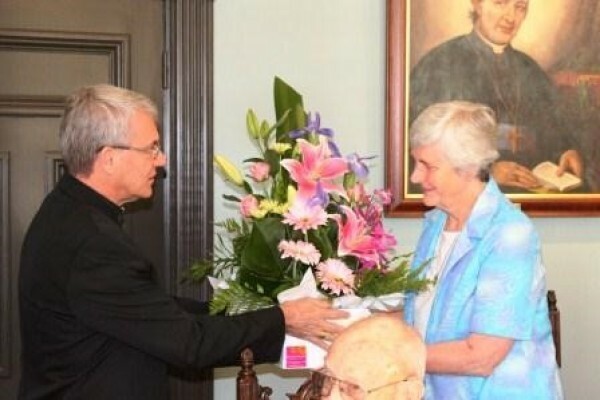 In conclusion, the Archbishop presented Sr Frances with a gift and flowers. 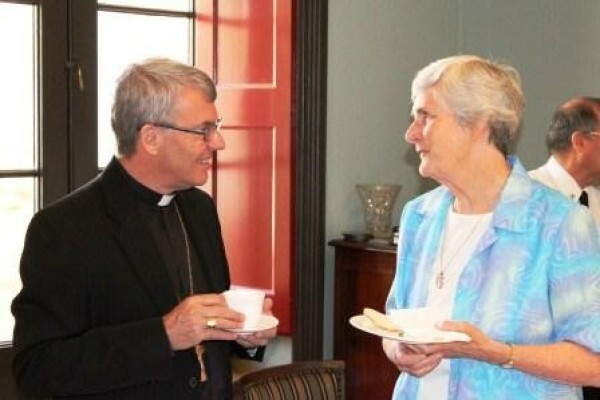 Sr Frances thanked the Archbishop for his words and gift and spoke about the challenges she faced when she was first asked to take on the position of Archdiocesan Archivist. Sister reminisced on her experiences with her helpers and their wonderful help over the years. 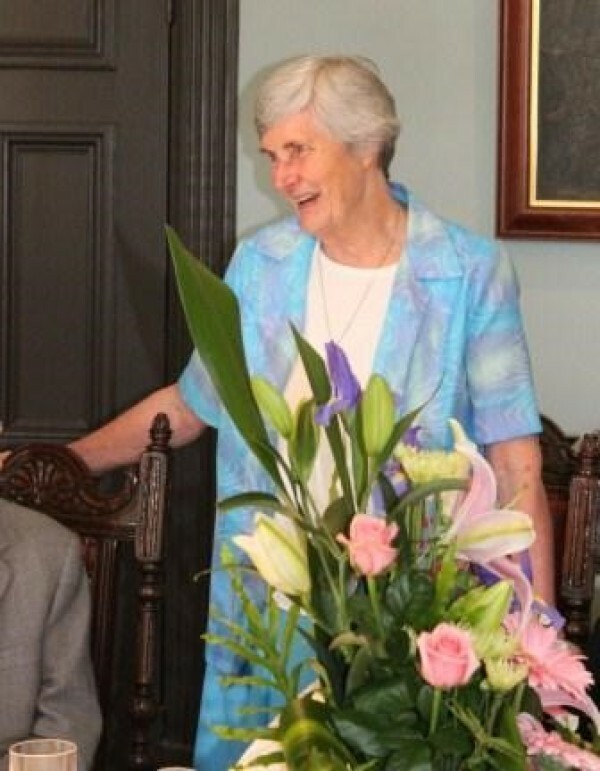 One of Sr Frances’ more indelible memories was the mammoth task of moving the archives from the Chapter Hall of the Archbishop’s House to their current location in Highgate, which meant packing 800 boxes of material into three storage containers and of course later unpacking them at Highgate. In concluding, Sr Frances expressed her hope that the many friendships she has formed over the years with her volunteers will continue well into the future.